The Bourrine of Bois Juquaud it’s an autentic constructions in eath recovered of reeds,witness of the life of the begining of XXe century. The Vendéenne corniche it’s a costal road, with the « Trou du dibale » “les Cinq Pineaux “,” la Roche Trouée”. The pedestrian and cycle road, an authentic spot of trees. Association for the conservation and enhancement of maritime heritage. Guided with photo collections of early twentieth century “maritime past of Sion” and workshops shipwright, marine engineering and tools. Accessible au public le jeudi de 20h30 à 22h30, et le samedi de 14h à 18h. The rehabilitation of former salt marshes revived salt mining. In Salorge, a model and an exhibition show the functioning of salt marshes and the steps of forming the salt. The susting will show you the fauna and flora of saline and the traditional gestures of harvesting salt. 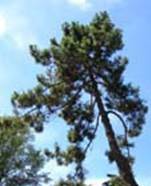 made ​​mostly its own site, you can discover by your rhythm of different landscapes, the Vendéenne corniche, the national forest, dunes. After hours of swimming, you can practice angling, from the seaside, to try to take include delicious bars or turbot from the ocean. At low tide, when the sea uncovers the vast rocky plateau of Sion, it offers a variety of flavors that you just have to pick. Crabs, shrimps and pink hide in the water holes in the sand while you reap the scraper of cockles (pine nuts), so tasty fried with a touch of garlic and parsley. On the river of La vie, cast fishing. Around a huge lake built for pleasure, check a fabulous range of facilities on the theme of water: the “wide track” to go down as a group, the “boa” down its 250 meters of meandering and above all, the impressive “suicide bomber” for thrills. 2 h 30 adventure in the trees. Park with inflatables and trampolines. The little train takes you every Tuesday and Friday morning at the market of Sion on the ocean, on Tuesday and Wednesday afternoon visit the salt marshes, the evening roll commented on the Vendéenne corniche and the night market of Saint Gilles Croix de Vie. Au départ de Sion ou des Mouettes. Plan your picnic or enjoy our snack and maybe meet you “Teiki”, the mascot of the park! Firing of recreational and competitive – crossbow, crossbow field, rifle or pistol at 10, 25 and 50 meters. 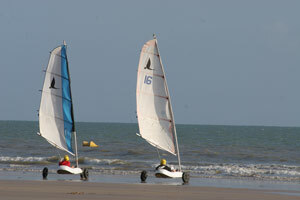 A site for true sports: sand yachting and kite-surfing, two in sensation-seeking activities. On an inland lake, discover safely your first season. Site tonic for practicing water sports.